A leading voice for civic engagement. I am running for City Commissioner because I believe all people should have an equal opportunity to a positive and empowering voting experience. I was raised by my mother and grandmother, and struggled through my childhood and early education. Without the right tools, resources and advocates, I almost failed out of school. After taking a civics class and becoming passionate about activism, I became a better and more involved student. This led me to attend the University of the Arts in Philadelphia. Over the last sixteen years I have become part of the social and political fabric of Philadelphia. I am a block captain, 36 Ward committeeperson, election poll worker and public school advocate. I live in Point Breeze with my husband and our daughter who attends our local public school. I connect my personal experience with my professional background to make civic engagement and voting easy to understand, and I am committed to providing my constituents with the right tools, resources and advocacy for success. 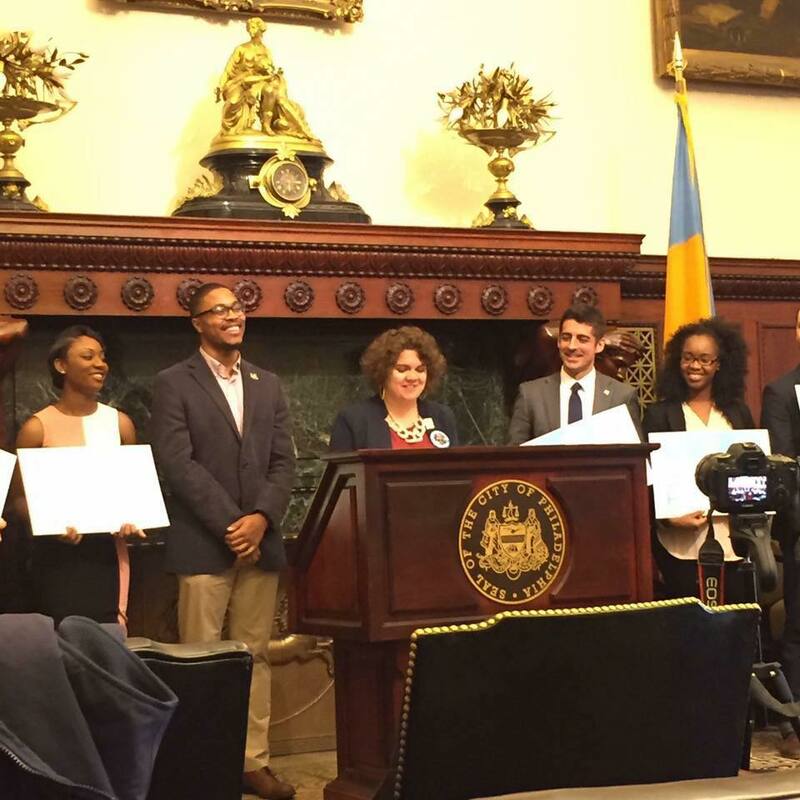 I most recently served as Director of Partnerships at Campus Philly, an economic development organization dedicated to welcoming and retaining college students to the Greater Philadelphia region. During my 6.5-year tenure, I have learned to harness the energy of young people and encourage them to invest in their communities. I will leverage this experience to engage all Philadelphians in my mission to promote local voter registration and affect change nationwide. I believe in our public schools, and have taken on volunteer leadership positions with multiple education-focused organizations, including: Neighbors Investing in Childs Elementary and Friends of Neighborhood Education. I am a catalyst for community resources through my work with nonprofits like Diversified Community Services and WHYY. I was also an inaugural member of the Committee of 70's Buchholz Fellowship, which focused on non partisan initiatives to create voter turnout. I, along with the other fellows, created We Vote, a program adopted by the Committee of 70 in 2018. I am the recipient of the 2017 Emerging Leader Award from the Forum of Executive Women, 2016 Women’s History Month Community Leaders City Council Citation, Billy Penn's 2016 Next Community Leaders Award, and the South Philly Review's 2015 Change Maker Award. I have participated in LEADERSHIP Philadelphia's Connectors & Keepers, the Center for Progressive Leadership and Citizens Planning Institute. I have a bachelor’s degree in Media and Communications from the University of the Arts, and have made Philadelphia my home ever since. My career reflects my goal to build a coalition of leaders who can effectively use politics and activism to create change. I know only so much can be done at a neighborhood level, which is why I believe it’s time to do more. I pride myself on my innate ability to break down barriers and bring people together under a unified goal, essential to increasing voter engagement. I believe we need to stop talking at people, and instead start listening to what issues are important to voters. This way, we can help voters connect the dots and become more informed. Philadelphians have the power to collectively bring change to our government, through voting, and through steadfast representation. That’s why I am running for City Commissioner in 2019.